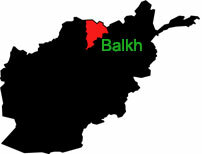 Eight Afghan soldiers have been killed and nearly a dozen others injured in an attack by gunmen on a military compound in the northern province of Balkh. Daulat Waziri, spokesman for Afghanistan’s Ministry of Defense, said gunmen clad in army uniforms stormed the compound on Friday. Khaama Press earlier reported that a gun battle between security forces and unknown gunmen preceded an explosion that took place in the vicinity of 209th Shaheen Corps of the Afghan National Army (ANA) forces. The fighting is reportedly ongoing in the area surrounding the military base, which lies in Mazar-e-Sharif city, the provincial capital of Balkh. No group has so far claimed responsibility for the attack, which occurs as Taliban militants have launched their annual spring offensive in the war-torn country, targeting security forces and US-led foreign troops. Taliban militants were removed from power following the 2001 US-led invasion of Afghanistan, but they have stepped up activities in recent months, attempting to overrun several provinces. Thousands of foreign troops are still in Afghanistan, but apparently maintaining security remains an issue amid almost frequent incidents of violence across the country. Daesh Takfiri terrorist group has also steadily made inroads into the violence-hit country. The terrorist group, which is mainly active in Syria and Iraq, has recently managed to take recruits from Afghan Taliban defectors. It has also enjoyed defections from al-Qaeda in Afghanistan.